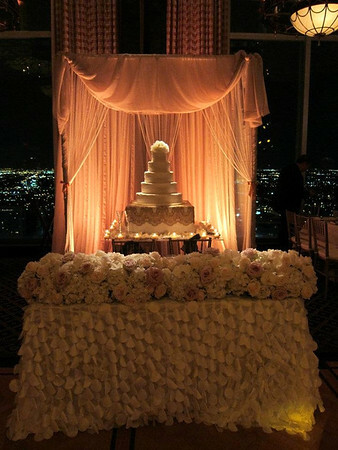 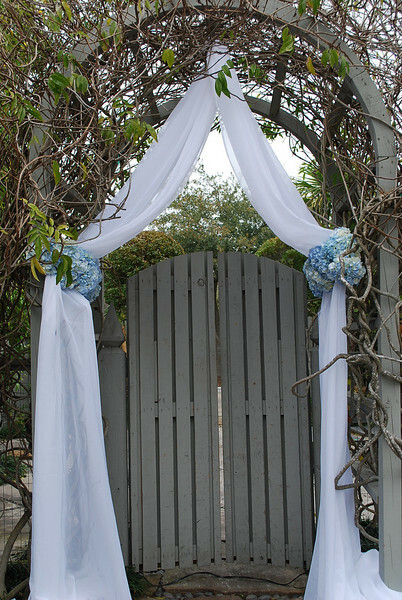 Mahogany wooden arbor draped with white fabric. 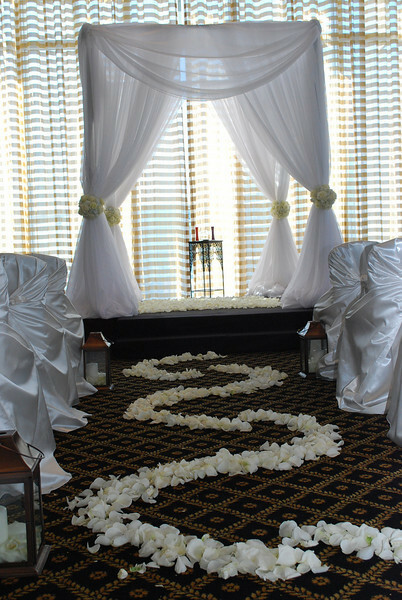 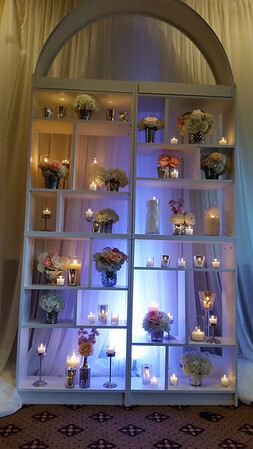 Two white satin upholstered pedestals adorned with clear cylinder vases filled with white dendrobium orchids. 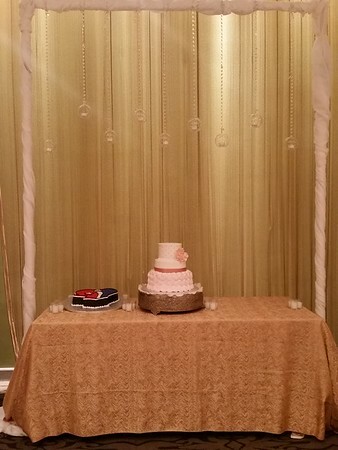 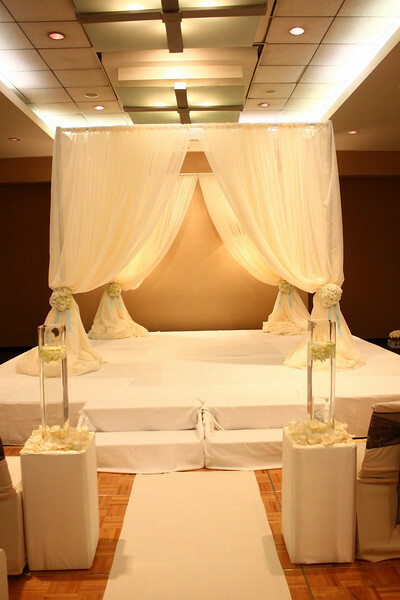 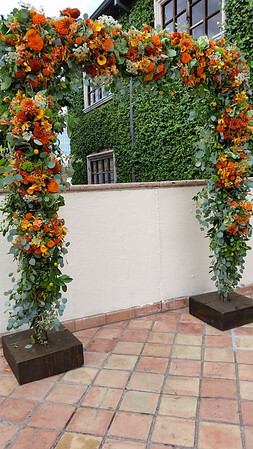 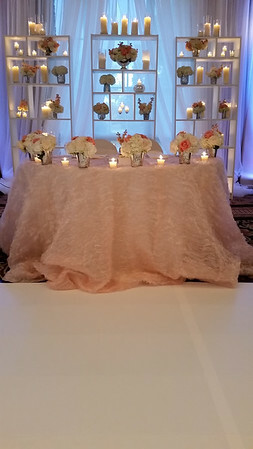 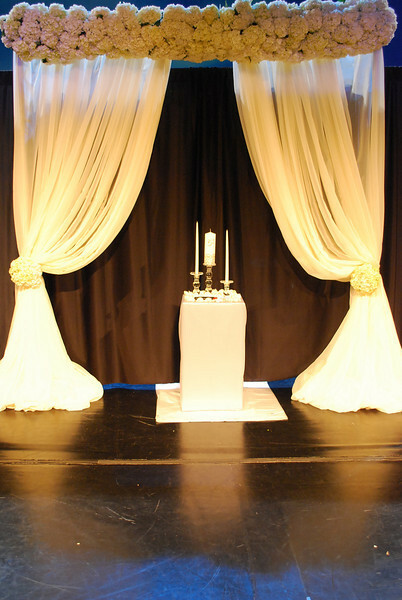 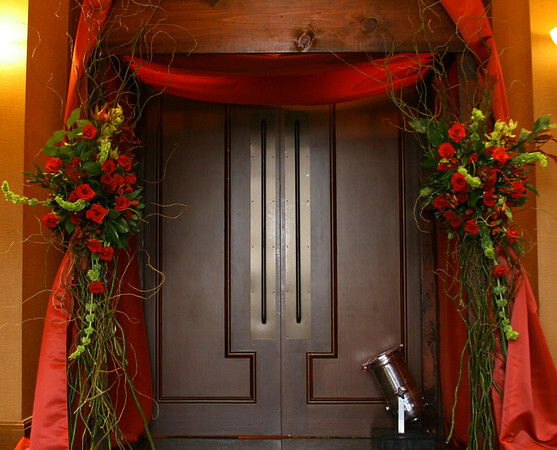 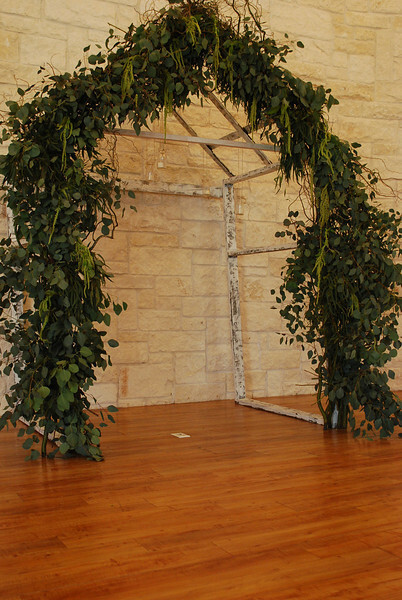 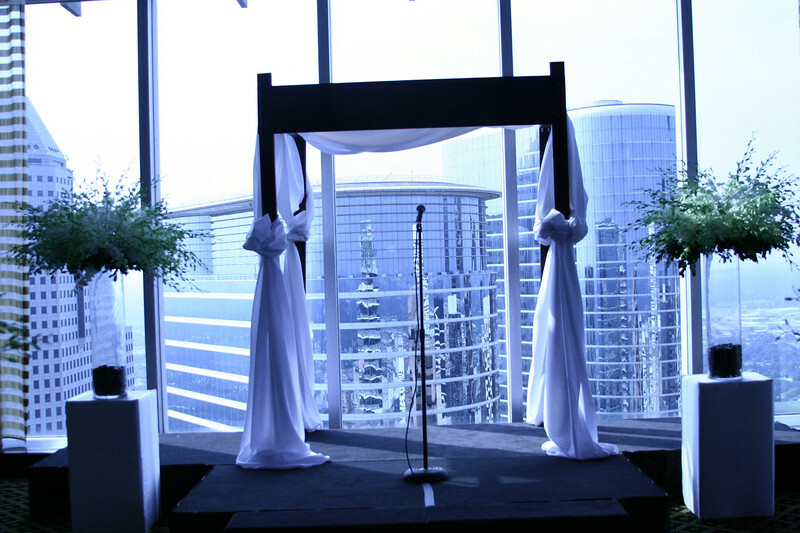 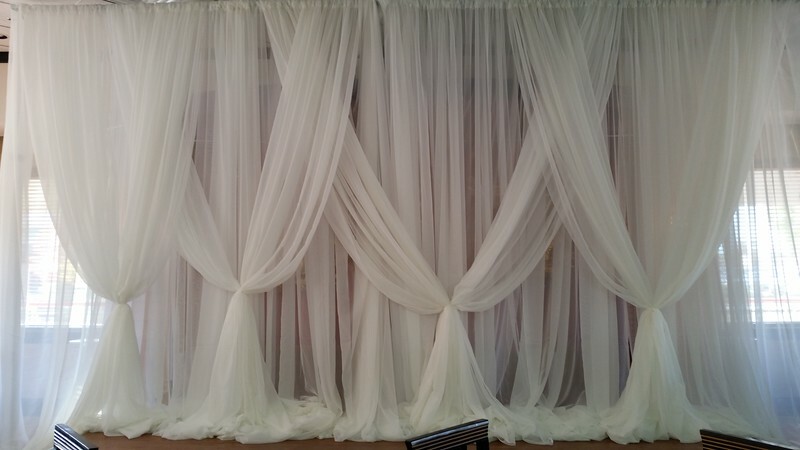 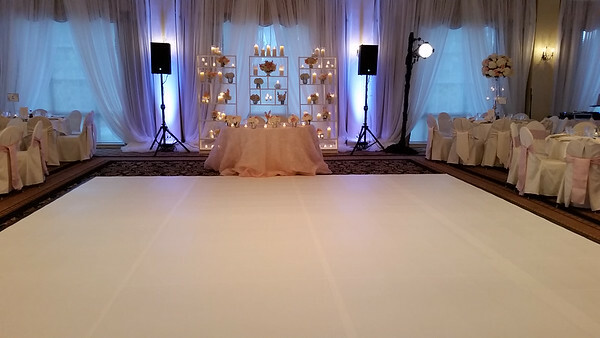 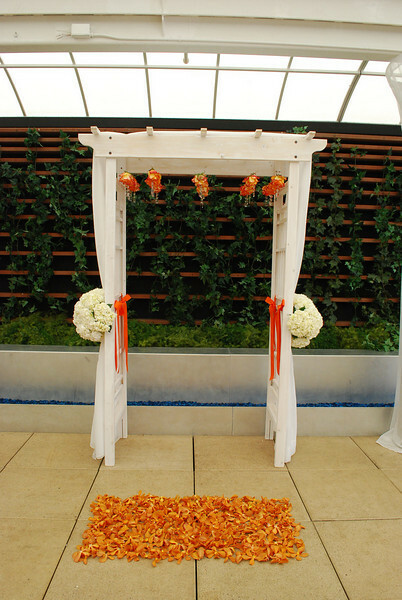 Free standing chuppah with your choice of 3 colored fabrics---white/ivory or champagne......approximately 8'H x 6'W & can be extended if needed.